How To Make A Crop Top From An Old Tee - At Home! Crop tops are the rage these days, they are cute and comfy and stylish! And although markets and online portals are flooded with about a million designs and colors, you can never really have enough of them can you? What if we told you that you can make a tie-up crop top at home? 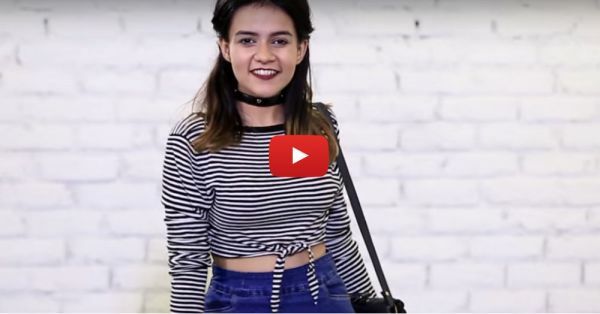 Yes, it's super easy to make tie-up DIY crop tops at home within minutes! Presenting this amazing video, that will make you realise that looking good doesn’t really require putting in too much effort! So girls, let’s DIY this! :D Also watch: 4 Fab Ways To Style Your Dupatta (Not Just With Indian Wear!) Watch the video now! !